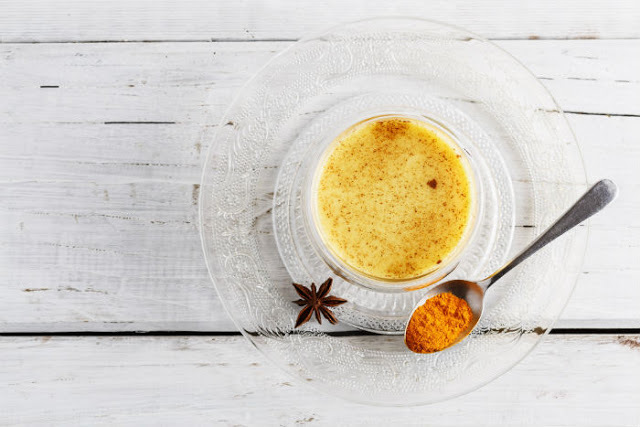 Indian cuisine is beloved around the world for its use of aromatic spices, but these ingredients do a lot more for our bodies than just entice our taste buds. If you go to any Indian household, you’re likely to find a wide array of medicines using these spices. From infections to inflammation, as well as depression and even cancer, this delicious health elixir is known for its valuable healing properties. This recipe is fitting for every season and for treating many ailments. As early as 3000 BCE, India was known as the heartland of the spice trade. Spices native to India (such as cardamom and turmeric) were cultivated as early as the 8th century BCE from the gardens of Babylon. Medical texts of Charaka (1st century) and Susruta II (2nd century) referenced spices and herbs. Susruta II used spices such as cinnamon, ginger, turmeric, and saffron for curative purposes. Spices such as cardamom were comprised in ancient herbal medicines for various health benefits. To this day, these five spices are still used in cooking and medicine in many Indian households. Turmeric is one of the most powerful nutritional supplements currently in existence. It contains the medicinal compound curcumin, which is a potent anti-inflammatory. Curcumin also improves brain function, as it feeds neutrophils. Turmeric also increases the antioxidant levels of the body, which is thought to cause a decreased risk of cancer. Parkinson’s, Alzheimer’s disease, and stroke damage have been treated with healthy doses of turmeric, and curcumin has been shown to be neuroprotective, crossing the blood-brain barrier to regenerate brain stem cells. Saffron is thought to be a treatment for Alzheimer’s disease, depression, premenstrual syndrome and menstrual discomfort. Rich in potassium, saffron is known to repair and produce cells, increasing red blood cell count. Saffron also contains high levels of serotonin, boosting mood and suppressing appetite, making it an effective weight loss supplement and antidepressant. Topical applications of saffron have shown to clear and soften skin, making skin fairer and less prone to acne and blemishes. Rich in calcium, iron, magnesium and vitamin C, saffron can be used as a supplement for optimal health. In India, it has been a tradition to use raw milk for generations. Pasteurized milk is the kind of milk we usually consume, but the process of heating can destroy powerful nutrients and enzymes that our body needs. Despite the benefits of raw milk, you’re unlikely to find it at your local grocery store. The dairy milk in the Western world is not of the best quality, so we recommend using non-dairy milk. In this recipe, we use cashew milk, but you can use almond milk, hemp milk, coconut milk or rice milk. All of these variations of milk are much more natural and healthy than dairy. 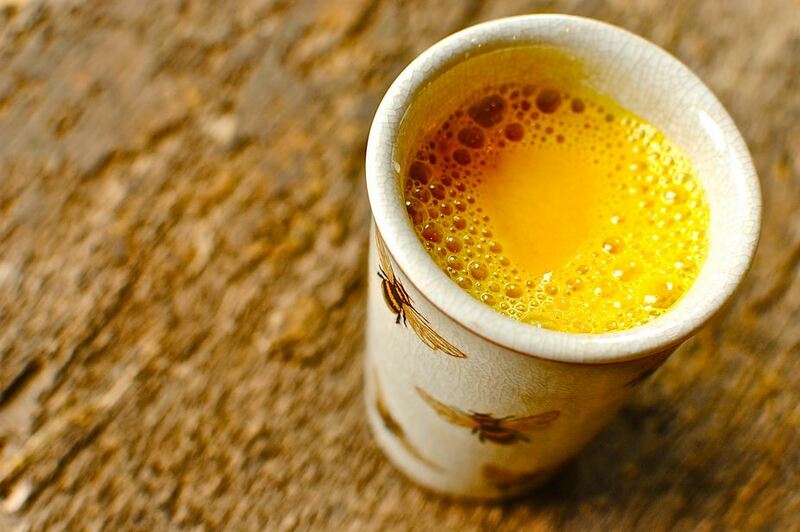 This turmeric-saffron-cashew milk beverage also contains cinnamon and cardamom, which are also incredibly healthy spices. Cinnamon reduces blood sugar levels and the risk of heart disease, heart attack, and stroke. Cinnamon also boosts the immune system, protecting the body against bacterial and fungal infections. Cardamom, similar to ginger, can counteract digestive problems and eliminates waste from the kidneys. If you suffer from acid reflux, bloating, nausea or indigestion, cardamom can help you overcome these symptoms of poor digestion. This recipe will create a quick and flavorful beverage that can be beneficial for inflammation, diabetes, menstrual cramps or low mood. If you aren’t suffering from these conditions, the drink is still a delicious way to ensure your body is absorbing your daily required vitamins and nutrients. The prep time for this recipe is less than five minutes! Blend all the ingredients in a high-power blender. Adjust according to taste preference. The combination of these ancient Indian spices provides a wonderful boost to your health, and it tastes incredible. Give this recipe a try, and let us know what you think.